Suzannah joined Watsi on May 17th, 2016. 39 other people also joined Watsi on that day! 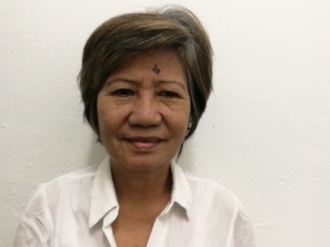 Suzannah's most recent donation supported Buuna, a woman from Cambodia, to fund cataract surgery. Suzannah has funded healthcare for 32 patients in 9 countries. Buuna is a government worker from Cambodia. She has two sons and six grandchildren. Two years ago, Buuna developed a cataract in each eye, causing her blurry vision and headaches. She has difficulty seeing things clearly, recognizing faces, and going anywhere outside. When Buuna learned about our medical partner, Children's Surgical Centre, she traveled for one hour seeking treatment. On January 8, doctors will perform a phacoemulsification surgery and an intraocular lens implant in each eye. After recovery, she will be able to see clearly. Now, she needs help to fund this $398 procedure. Her son says, "I worry about my mom's vision failing and that she won't be able to meditate." Jane is a young student from Kenya. She is the youngest in a family of three children. In early November, Jane was playing and she fell and hurt her legs. She sustained a complete closed fracture of her left femur. She is in pain and not able to walk without support. Fortunately, surgeons at our medical partner can help. On November 15, Jane will undergo a fracture repair procedure, called an open reduction and internal fixation. This procedure will help her walk easily again. Now, our medical partner, African Mission Healthcare Foundation, is requesting $998 to fund this procedure. “I just want to see my daughter happy and walking well again. 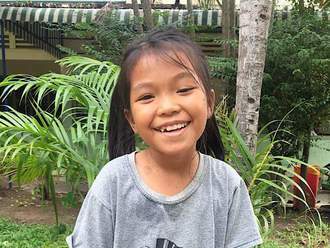 I ask for help from Watsi so that she can be treated and heal before going back to school in January,” Jane’s mother says. 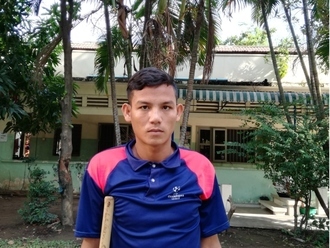 Senghong is a young man from Cambodia. He works at a casino. He enjoys going for walks and listening to classical music. Three months ago, Senghong was in a motor vehicle accident that caused a fracture in his left leg. It is difficult for him to walk and he is in chronic pain. 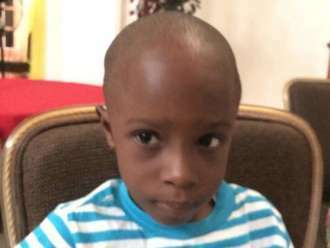 Fortunately, surgeons at our medical partner, Children's Surgical Centre, can help. On September 11, Senghong will undergo a fracture repair procedure, which will cost $430. This procedure will help him walk again and he can return to work. He says, "I really want to return to work to help my family and I hope my leg doesn't hurt anymore." Mu is a 27-year-old farmer from Burma. She rents a patch of land with her husband and farms. She has two children. Mu experienced abdominal pain and visited Mae Tao Clinic, our medical partner's care center. She received medication, which temporarily alleviated the pain but did not eliminate her symptoms. She has been diagnosed with gallstone pancreatitis. Mu says, “It is a sharp pain and it comes on without warning. Sometimes I can feel it all the way in my back.” Mu has been advised to undergo a cholecystectomy, the surgical removal of the gallbladder. If left untreated, Mu's symptoms will continue to worsen and put her at risk for further health complications in the future. 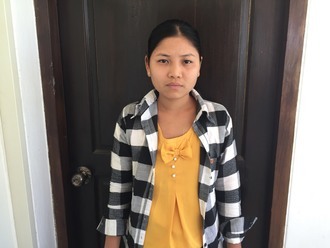 After seeking treatment through our medical partner, Burma Children Medical Fund (BCMF), Mu is scheduled to undergo her cholecystectomy on February 14. BCMF is requesting $1,500 to cover the total cost of Mu's procedure and care.